ServiceM8 is for electrical, plumbing, landscaping, IT, cleaning, HVAC, pest control, locksmith, real estate, security, solar, property services and appliance repair industries. 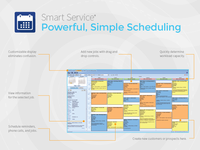 Smart Service is the perfect software solution for any field service company, no matter the size. 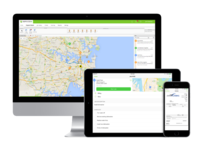 From sales to service, this program teams with QuickBooks to make scheduling and invoicing easy.